Ratibidas are such an unique and attractive wildflower. The flowers have a tall cone in the center of the head surrounded by downward dainty petals. These flowers are the perfect choice for hot and dry areas. 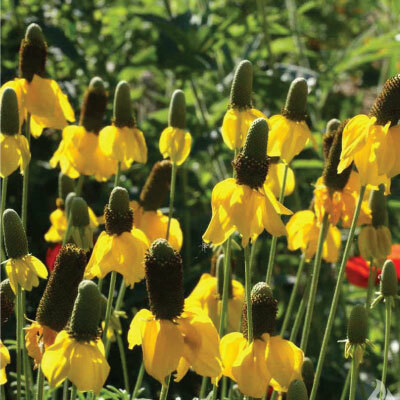 The Mexican Hat Ratibida is a very unique looking and fast growing perennial flower that is very easy to establish from its seed. 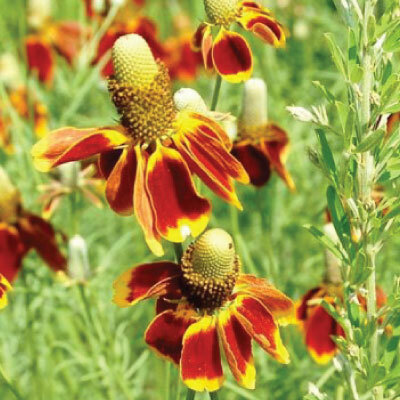 The Prairie Coneflower Ratibida is a beautiful meadow wildflower that produces an abundance of beautiful, vibrant yellow petals.